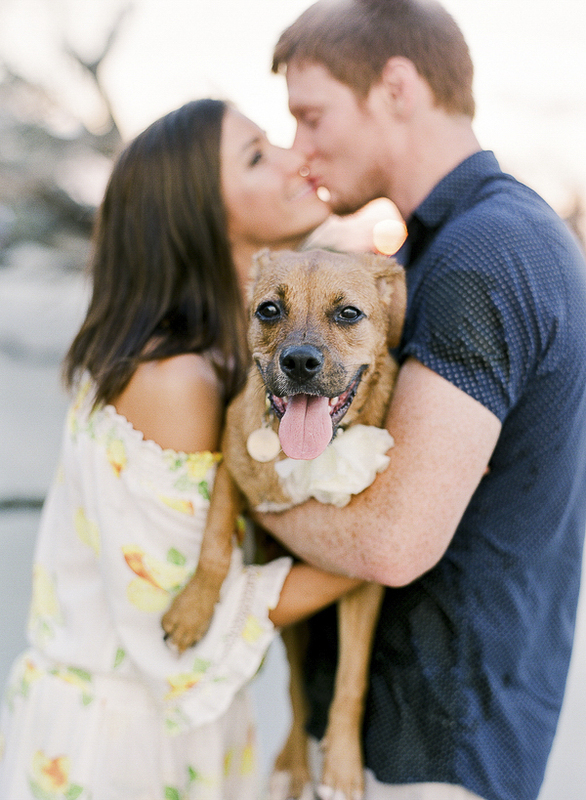 Whatever kind of day you’re having, it is about to get better thanks to Rachel Craig Photography. 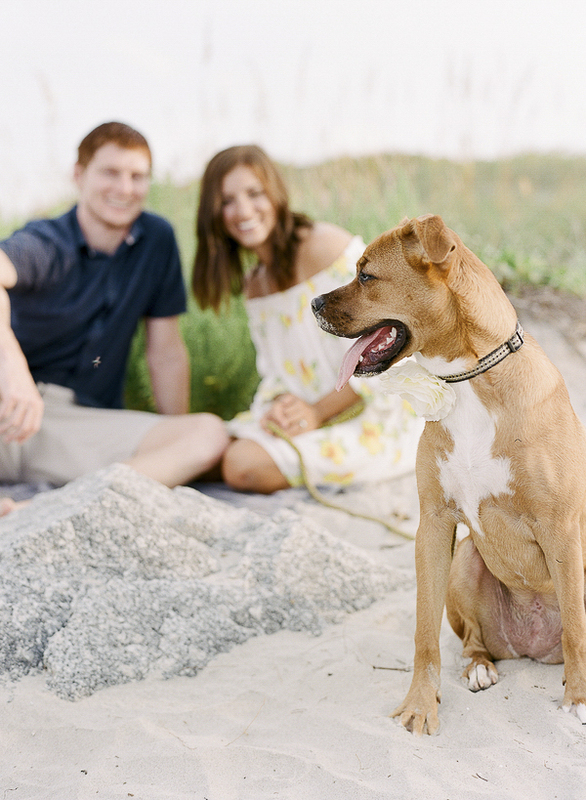 Abita, the Boxer-Lab mix, and her favorite humans had a lovely session at the beach with Rachel. 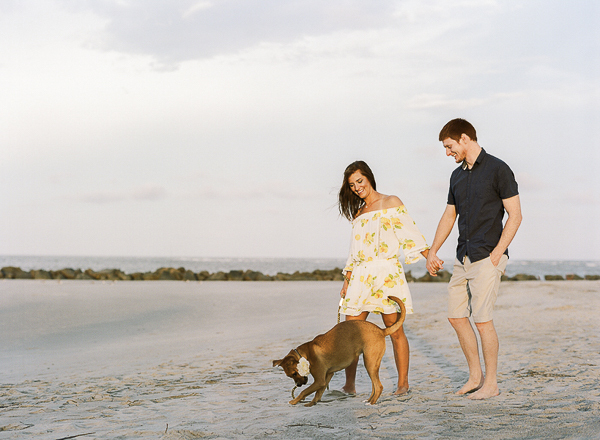 From Rachel: “Kate and Cory have been married for five years and just added a new family member – Abita, a 9-month-old rescue pup. From Kate and Cory: “Abita came into our life as a 4-month-old puppy that we found on Craigslist while searching for a desk! We rehomed her from another family that wanted her to have the time and attention she deserved. We named her Abita Amber after our favorite Louisiana beer given her Amber colored coat. 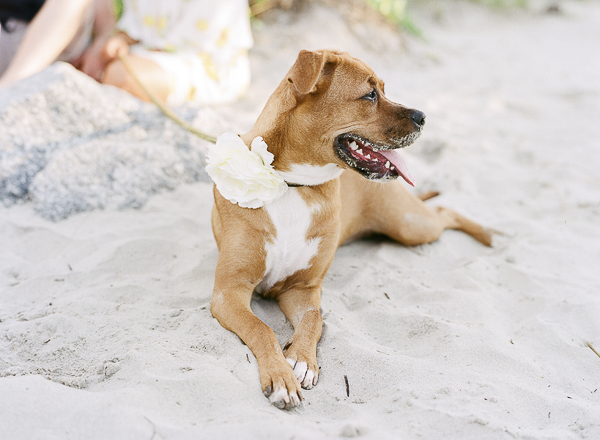 The former owners told us Abita was a Boxer-Lab mix, but many people have commented that she appears to have some Ridgeback in her as well. Our little Abita loves to run and play outside. At the dog park, she will tap other dogs with her paw to make them chase her. On the beach, she has sprinted for a half mile without rest to chase after birds, but only because she wanted to tell them hello. She loves nature and all the creatures and animals in it. Abita has been stung by wasps a few times for trying to befriend them, and we think she looks like the cutest version of Scooby Doo with her face all swollen after! Her sweet persona is immediately felt by everyone she meets. Follow Rachel Craig Photography on Instagram. You can also follow Abita’s adventures on Instagram. 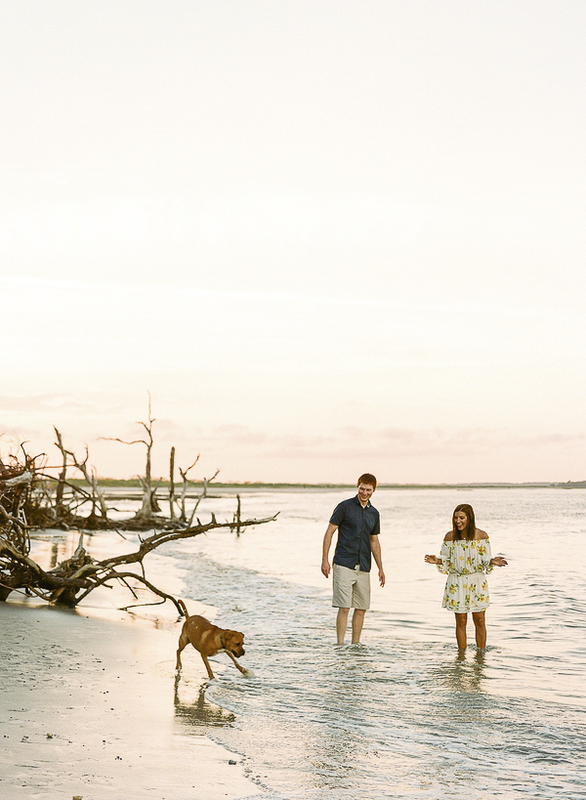 About Rachel Craig Photography: Based in Charleston, South Carolina, Rachel specializes in wedding and portrait photography. What a sweet photo session. That is so clever they taught Abita to use buttons for her needs. I can tell from the photos she’s right at home now. What a blessing. What a very happy looking dog and family! I love her name and love the origin of it!! The photos are absolutely stunning! 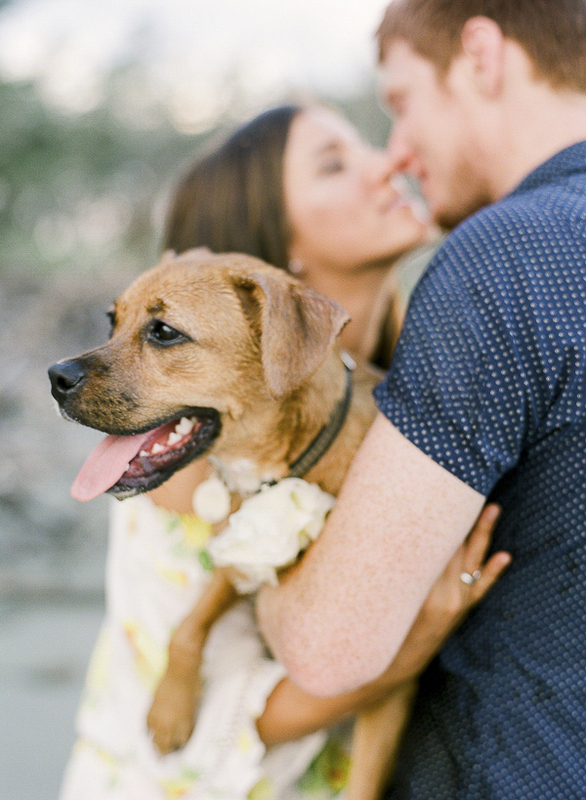 Everything about this story is engaging and love how they found their beloved pup! What a sweet girl! I love they found her by accident and named her after a beer! That sounds like a couple I can really relate to and hang out with! Love beach shoots! Abita seems intrigued by the waves. The idea of buttons is interesting but I can see how they could be abused! Our foster dog would be pressing that food button all day. This definitely is a day brightener! Such lovely photographs, of such a lucky girl and sweet family to give her all that she needs! Abita has a beautiful smile! How adorable that she is named after a beer! 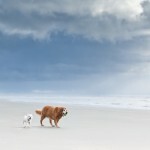 I love the ones where Abita is digging in the sand — that’s my favorite too! Plus of course where she’s smiling at the camera! Abita and her family looks so happy! 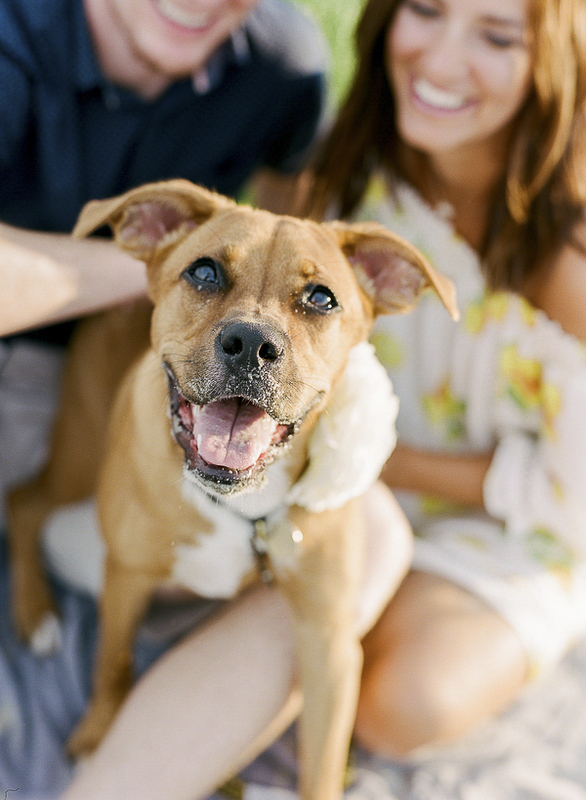 The photographer did such a beautiful job of capturing her sweet expressions as well as the happy moments she’s having with her humans! 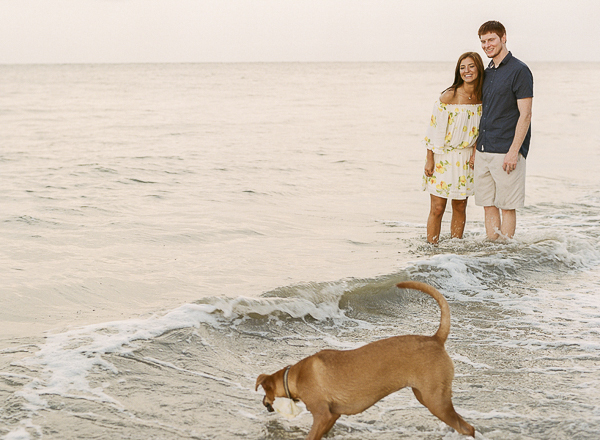 I love how Abita is the center of attention in all of these photos…truly capturing her expressions of joy. It looks like Abita – great name by the way 🙂 is very happy and has found the perfect family. She also appears to have plenty of energy! 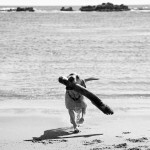 The photos capture her boundless energy and love of life. I love the feeling of these images. So fun and bright and cheerful. 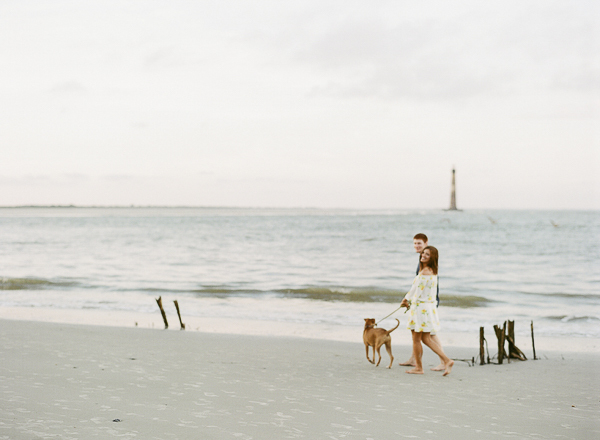 It looks like the whole family had a great time during this beach session. Now that’s a beach beauty! 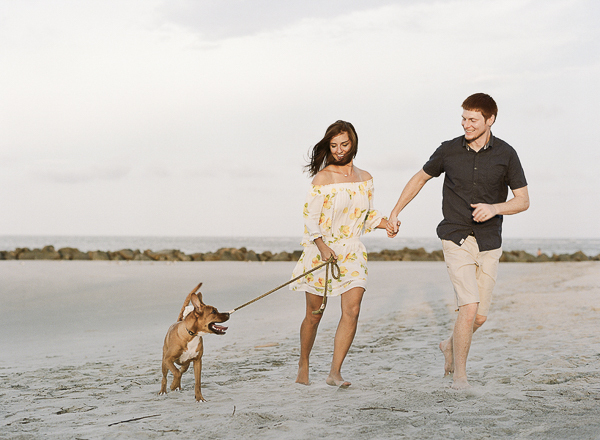 Everyone looks so happy, and of course we’re happy that Abita is a rescue! Thanks for saving her. Such a beautiful family. I am so glad Abita found a loving forever home she deserves. She looks so happy! 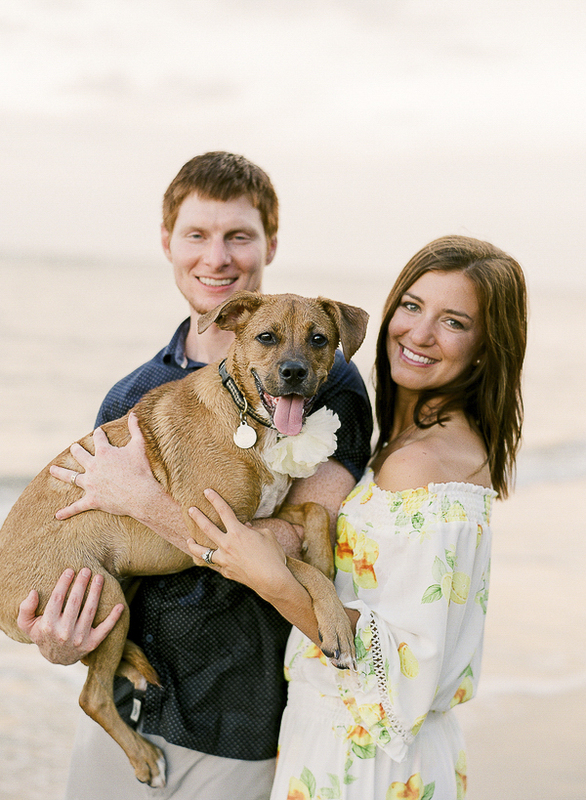 I love that more and more people are including pets in their family and special event portraits. 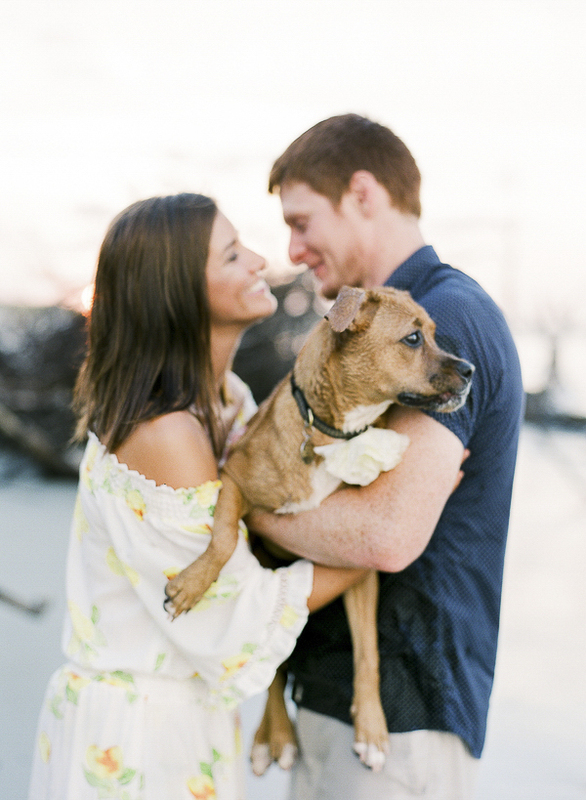 These photos are beautiful and that dog is precious! Abita is a beautiful dog and has an especially sweet and expressive face. She looks like such a happy dog! These photos are stunning! What a beautiful dog, too! She looks so friendly and happy! These photos are SO SO cute! 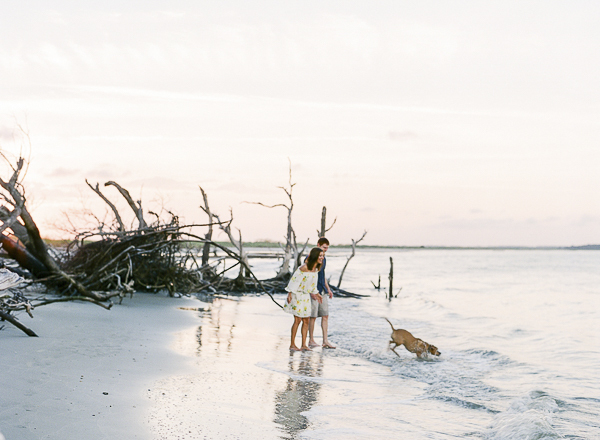 I definitely want to take some like this with my pups next time we are by the water! I love that they found Abita while searching for a Desk, LOL! That is just priceless. She’s so beautiful and is having so much fun with her new owners on the beach. Great vacation photo session. Oh wow! She is just so cute! She looks like she is pretty spunky! I love those ears. haha. And that last shot is just perfect.